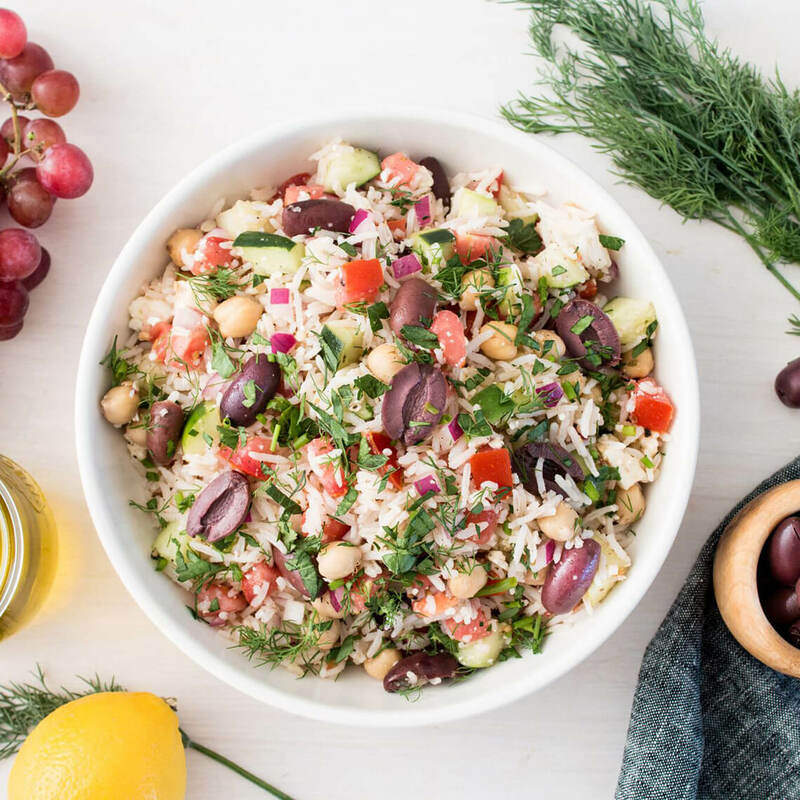 Two quick steps is all it takes to prepare a fresh and healthy Greek inspired rice salad. Combine rice and 2 cups water in a medium saucepan. Bring to a boil, cover, and reduce heat to simmer until tender, about 20 minutes. After cooking, spread out on a plate to cool completely. In a medium bowl toss together cooled rice, cucumber, onion, tomato, chickpeas, feta, olives, vinegar, oil, garlic, oregano, salt, and pepper. Serve at room temperature or chilled.